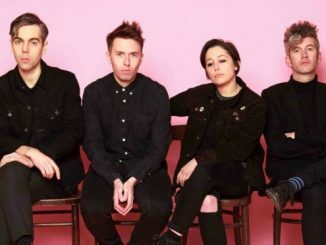 Ahead of the release of their new album ‘Stains on Silence’, set for release on June 15th via Tough Love Records, Belfast’s Girls Names are sharing a third taster from the record, “The Impaled Mystique”. 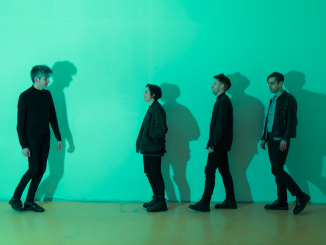 The track moves with an icy swagger and finds the trio venturing to a more experimental territory, with frontman Cathal Cully’s reverb-drenched vocals giving way to dissonant pianos stabs and sharp guitar tones. It stands to reason that many vital albums come critically close to never being made. 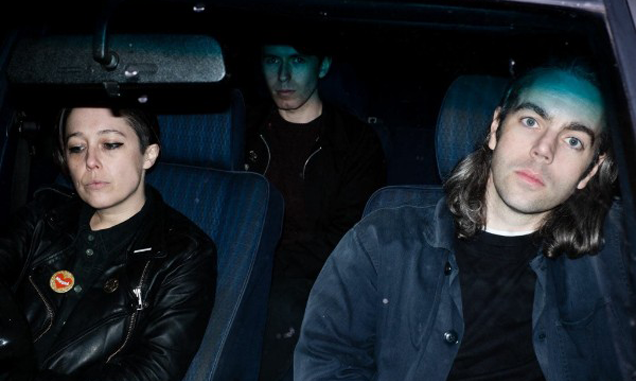 The eight-track upshot of doubt, upheaval and financial strain, ‘Stains on Silence’ by Girls Names is one such release. Where ‘AAAV’ proved a brazen statement of intent, ‘Stains on Silence’ bounds forth as its feature-length comedown. What could have seen the band buckle became an opportunity for approaching things tabula rasa. During its two-year transmutation, Cully, bassist Claire Miskimmin and guitarist Philip Quinn had a single aim for their fourth album: to make an old-fashioned record clocking in around 30 to 35 minutes in length that made the listener reach straight for repeat. 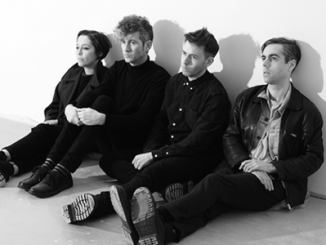 From the Bang Bang bar-summoning swoon of opener ’25’ and the submerged disco doom of ‘Haus Proud’ to the rapt, dub-leaning ‘Fragments of a Portrait’, Girls Names have excelled in their goal by forging an LP of synchronous nuance and defiance. Marked by the presence of drum machines and programming throughout, these eight masterfully-woven tales are once again commandeered by founder Cully, whose words, understated yet defiant, mine purpose and meaning from the mire (“I want to bathe again, I want to swim again / In a pool of twisting bodies, blackened gold.” — ‘25’). But while ‘Stains on Silence’ came critically close to never being made, having lived with it, reconfigured it, and guided its metamorphosis from flickers of inspiration and half-formed schemes, it’s both a statement of pure perseverance and a head-on confrontation with ambivalence that couldn’t be more assured.